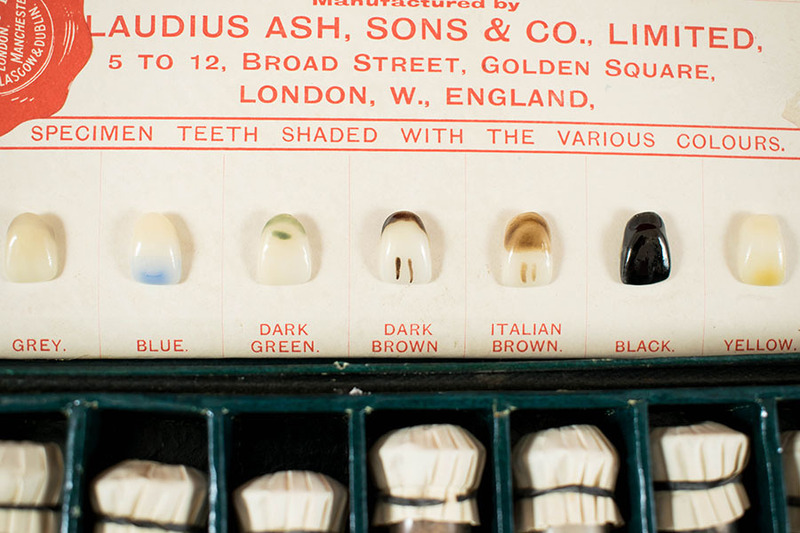 8 x 1/4 oz bottles of assorted shades of enamel used to shade porcelain teeth, complete with mixing oil, spatula and brushes. 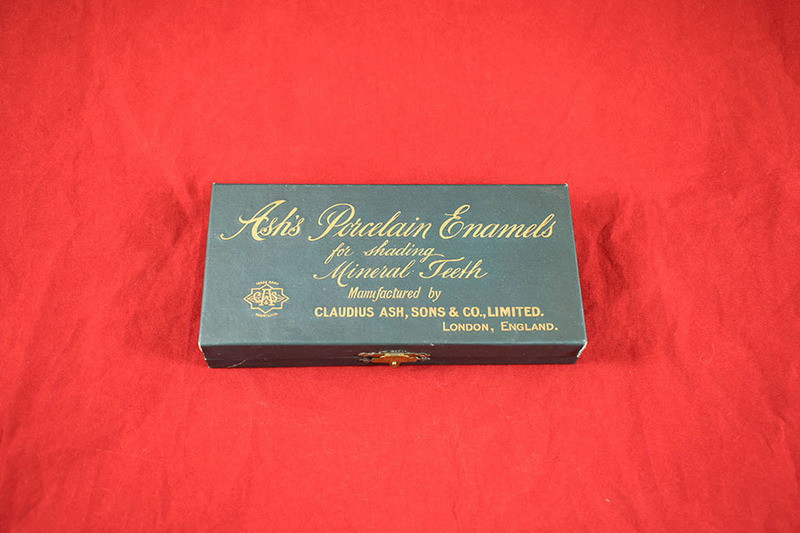 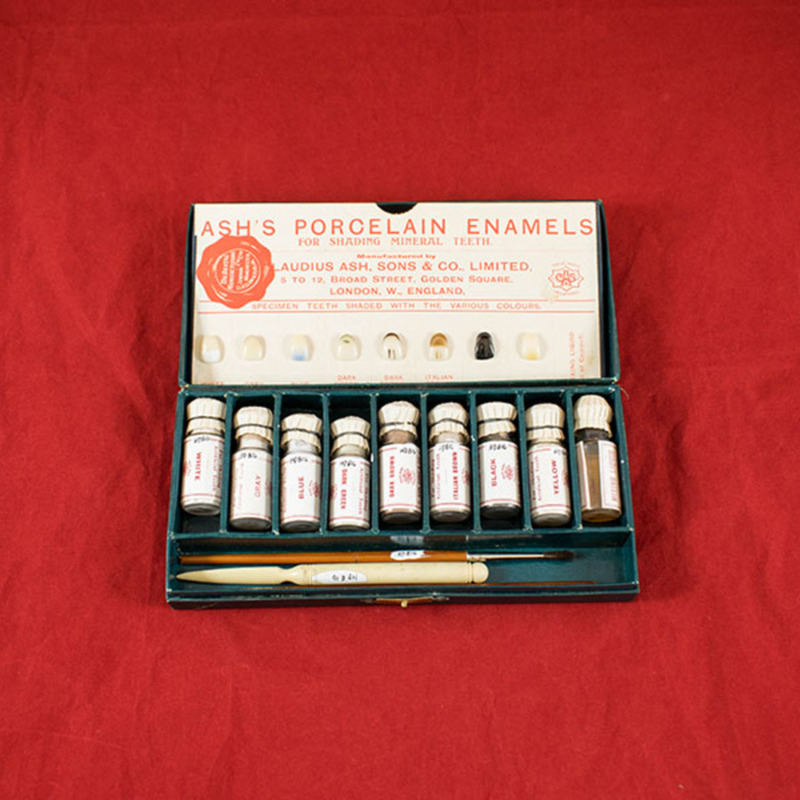 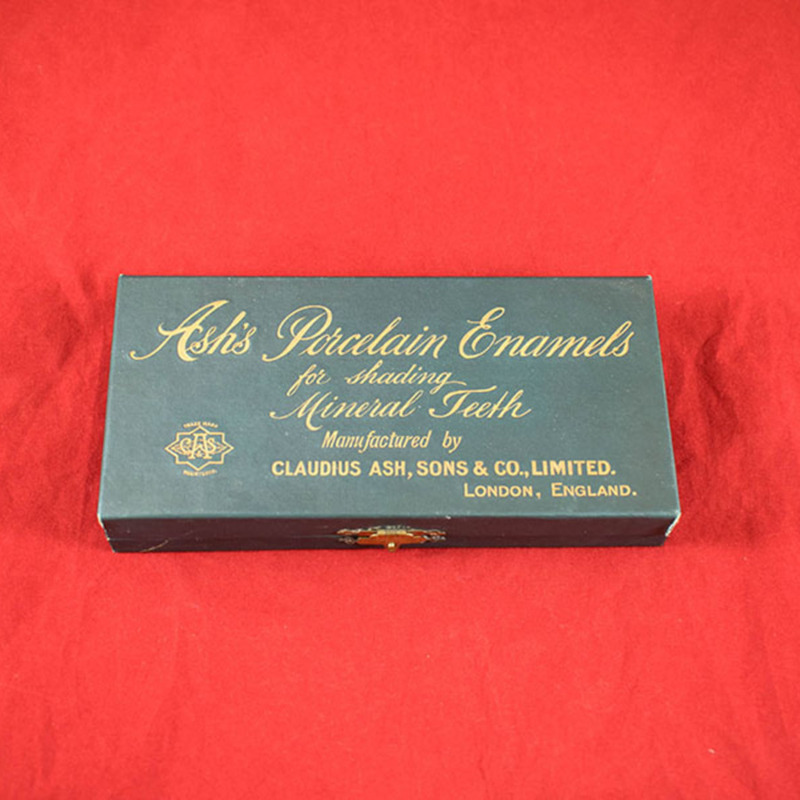 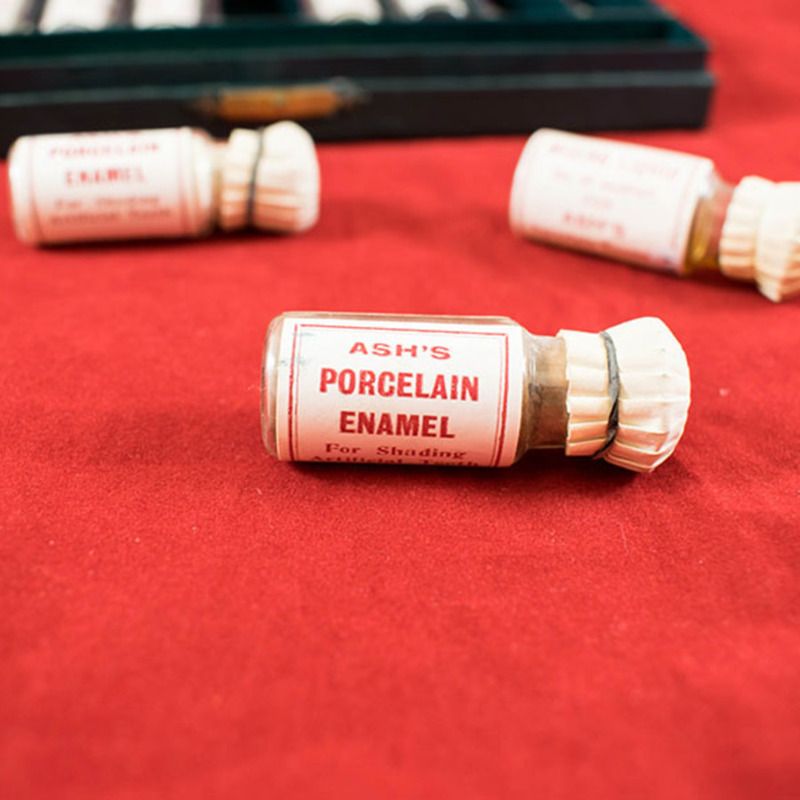 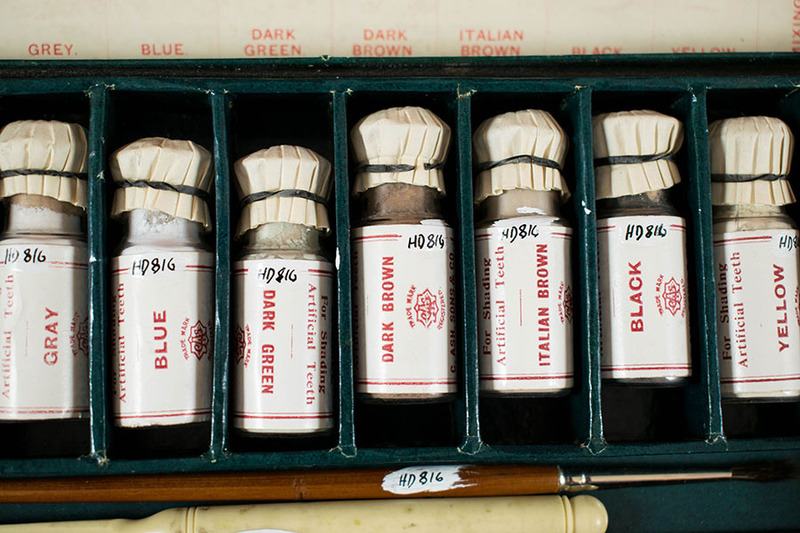 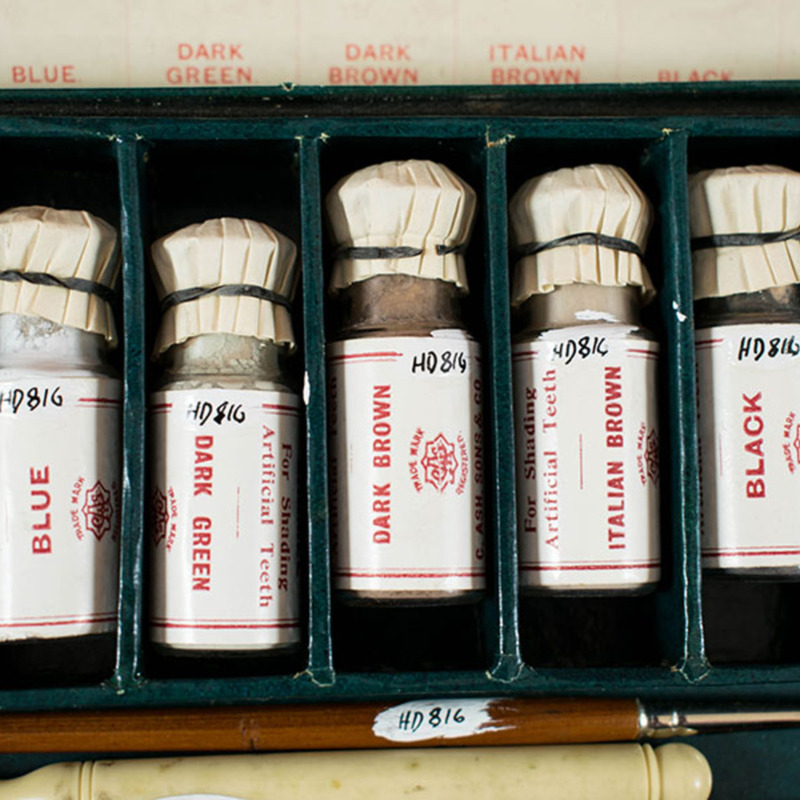 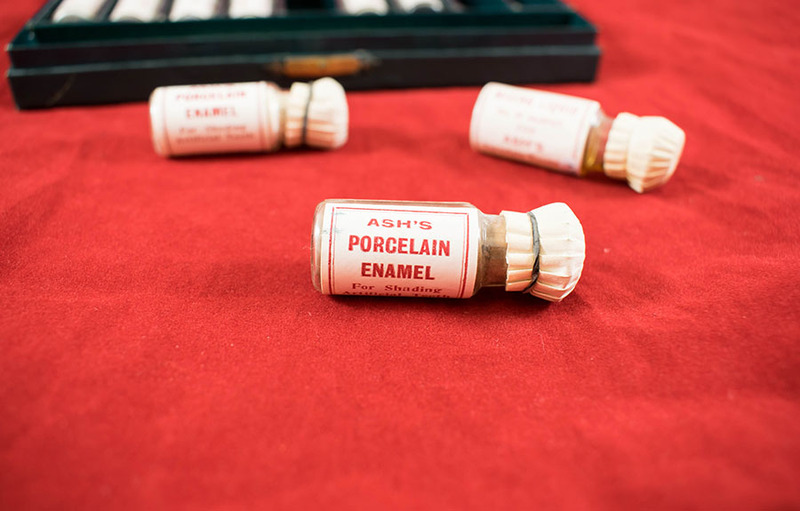 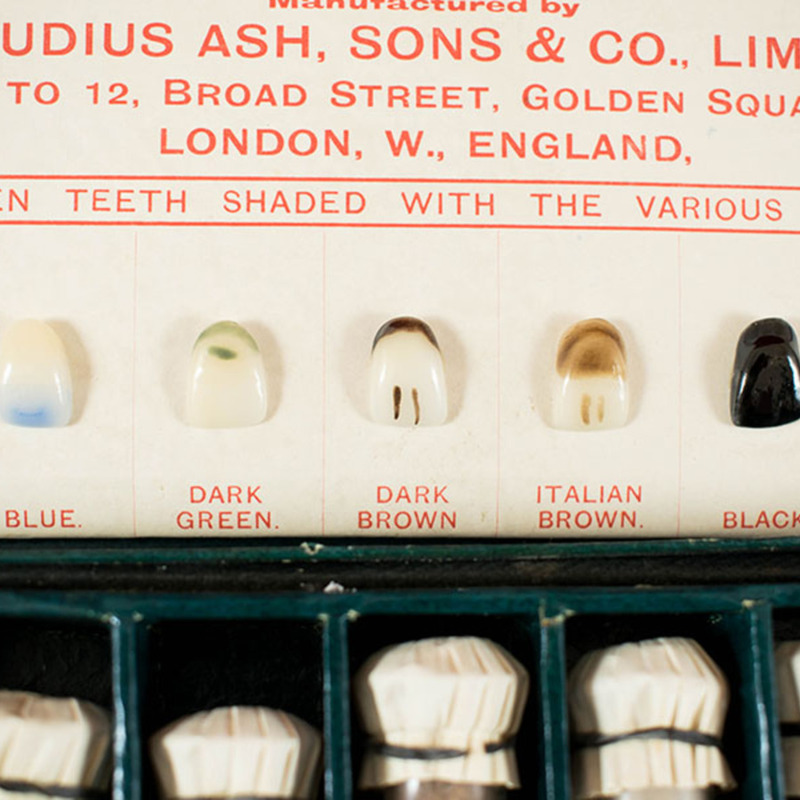 Claudius Ash, Sons & Co. Ltd.; 1820-1924; Dental manufacturers, “Porcelain Enamels,” Heritage, accessed April 20, 2019, https://heritage.rcpsg.ac.uk/items/show/696. 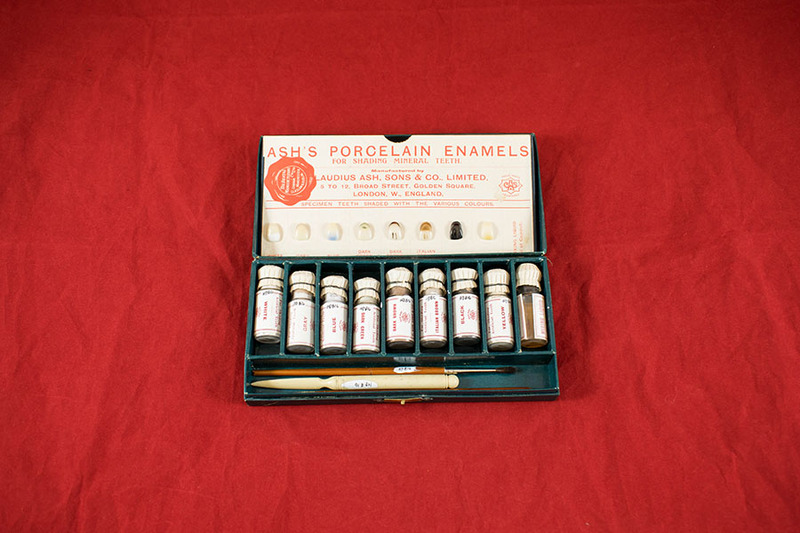 Description: 8 x 1/4 oz bottles of assorted shades of enamel used to shade porcelain teeth, complete with mixing oil, spatula and brushes.